Tulsi is renowned for treating cough and colds, excellent for troubled windpipes. Tulsi is the most popular plant seen in every household. There are no set rules on how to grow this plant efficiently. Germination does take time, proper watering and ensuring a free flow to the excess water is a fabulous step, towards helping the plant mature. There are special planters to grow tulsi. You can check online Tulsi Planters. 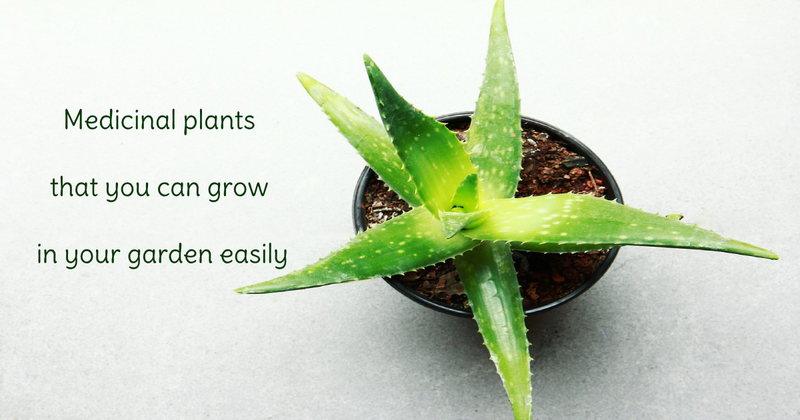 In the list of the elite class of plants to grow with minimum effort, Aloe Vera ranks in the top. The advantages of having this plant in your garden area are such as: treating skin burns, bruises, and injuries. It is an excellent source, effective in curing allergies, and digestive problems. Growing the plant isn't that difficult, all it takes is a bit of moist loam and direct sunlight with a litter bit of affection. Marigold plants are colorful, bright and attractive in terms of its expression. The greatness of them in rituals is well-known to all. Growing them in the garden doesn't necessarily require any amount of hard work. Just like any other annual or perennial plant, water, and sunlight is all it takes! The leaves of these plants are excellent in healing sore eyes, fevers, and infections. With the arrival of new technology, life has become milder and comfortable, compared to past generations. Buying flowering pots online is possible with the use of the internet. Last few years have seen a steep growth in mobile phone users indicating a broad user base in society. Lemon balm plants are great, for treating various health-related issues. One can grow it efficiently in their backyard; it is highly beneficial, in treating insomnia, and curing an ill stomach. Growing this plant doesn't require any pre-requisites; proper drainage of water needs to be taken care of while germinating. The plant doesn't need the soil to be too fertile, availability of perlite in the soil texture, aids in plant growth. Eating ginger ensures a healthy body. Ginger is fabulous in treating nausea, motion sickness and is often prescribed, by experts to pregnant ladies. Unlike other plants in the list, Ginger grows horizontally; make sure to keep the eye bud in an upward direction while covering it in loam. You should use a shallow, deep pot with a proper hole at the base for high-grade results. Owning a beautiful lavender plant will help you in various ways. The herb is well-known for it is rich in aroma and is often, utilized in perfumes and body soaps. In growing lavender, there are certain specific conditions to keep in remembrance. The herb needs timely water and adequate sunlight for its growth. Avoid growing it in shadowy areas. For the very existence of life, oxygen is compulsory. Planting plants in garden, field or pots is a useful approach worth appreciating! It not only helps in cleansing the impurity present in the atmosphere but also purifies, one's aura. Get yourself one of the above useful plants, and experience the best, in return.